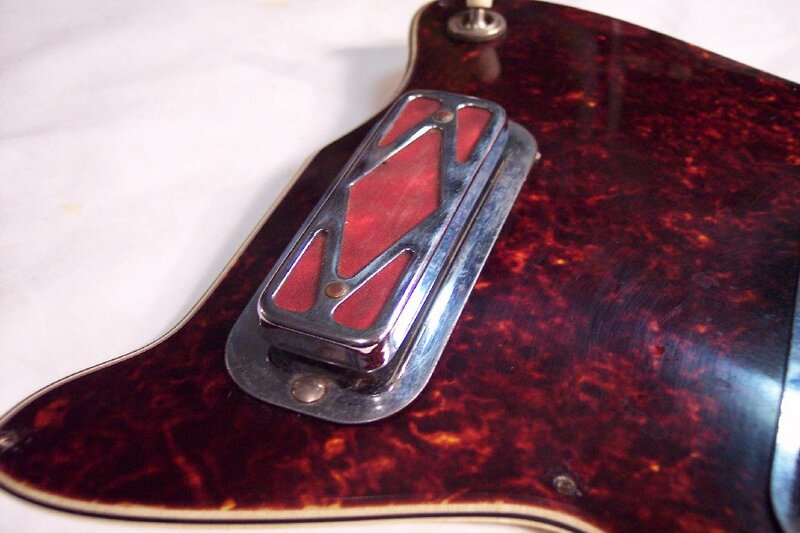 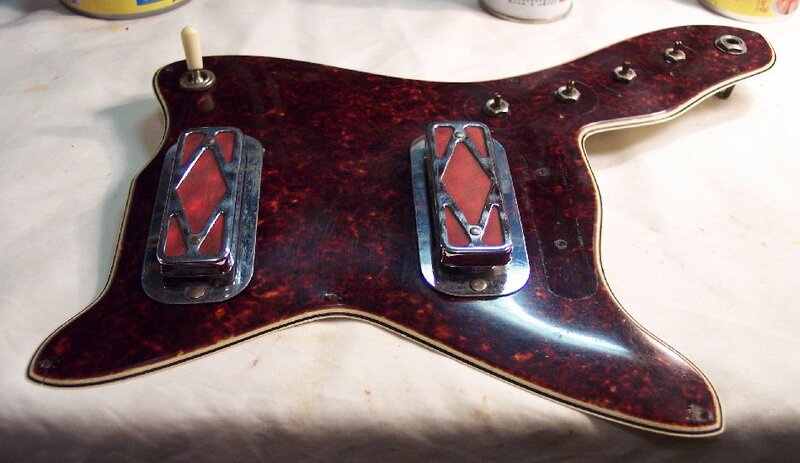 This page shows the pickguard / electronics assembly, with the pickguard cleaned but "needing" some compound polishing to work down years of cleaning swirl and tiny scratches and brighten up it's sheen, and get down into same to remove years of hand oils. 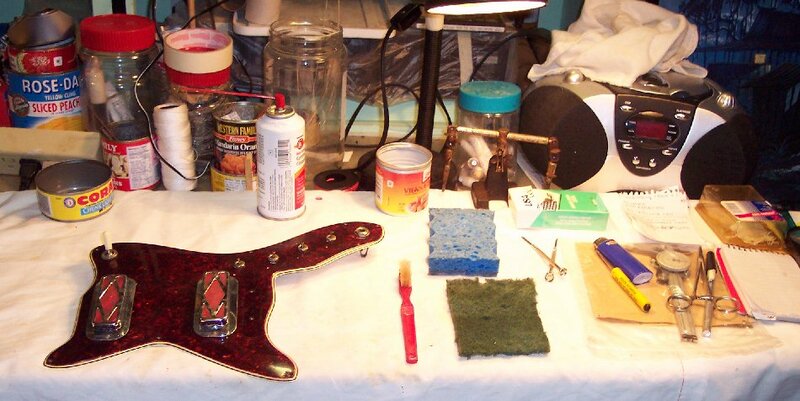 Cleaning and compound polishing is shown on the next pages. 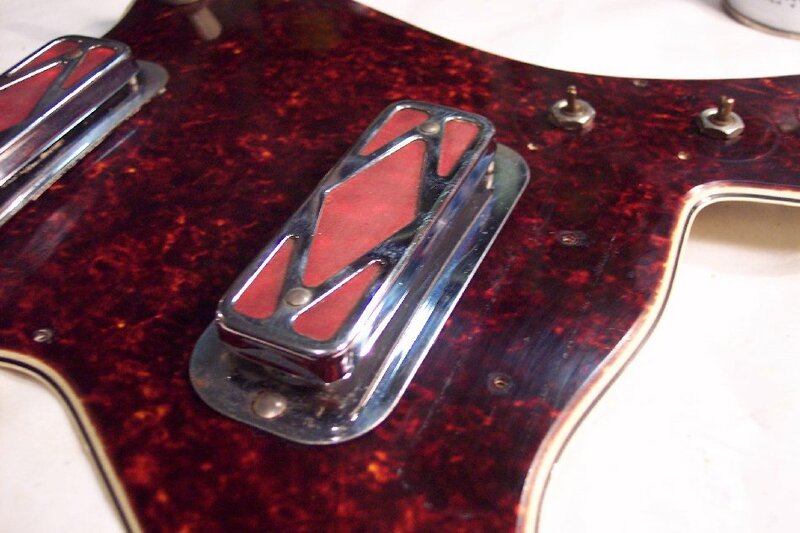 Although the pickguard looks OK from this distance, a closer inspection further below shows the years of use and cleanings slight cloudiness. 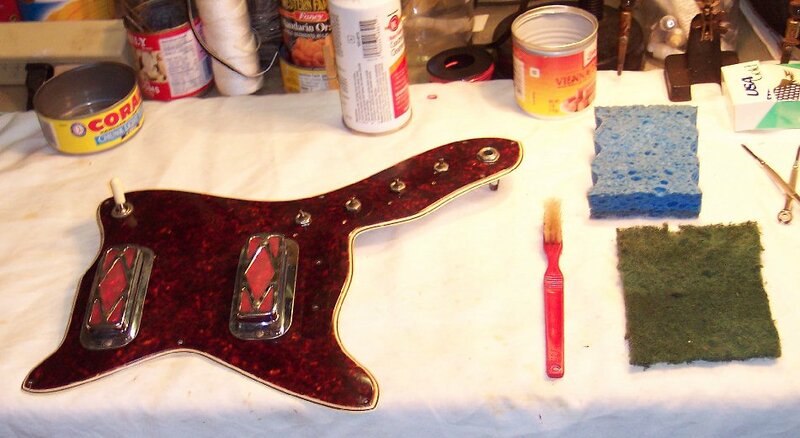 swirls and light scratches.